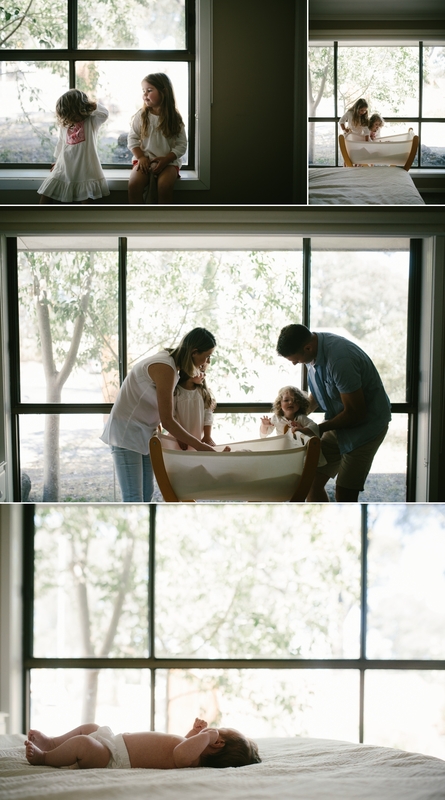 This is a sweet little in-home family photography session. I love shooting in home newborn sessions. The energy is always calm and quite, even amidst the chaos of two older siblings. You don’t need to have the perfect clean home, or the perfect outfits. These sessions are all about your family navigating the early days with your newest love. This is a sweet little in home session with a new family of five, with three little girls. Shot when on a mentoring session with Janine at White-salt.